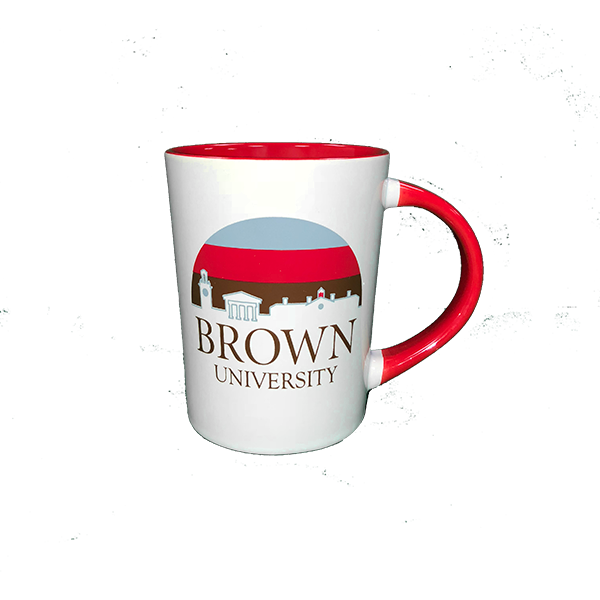 Please select option for "I Love Brown a Latte" Mug - Red or Grey. 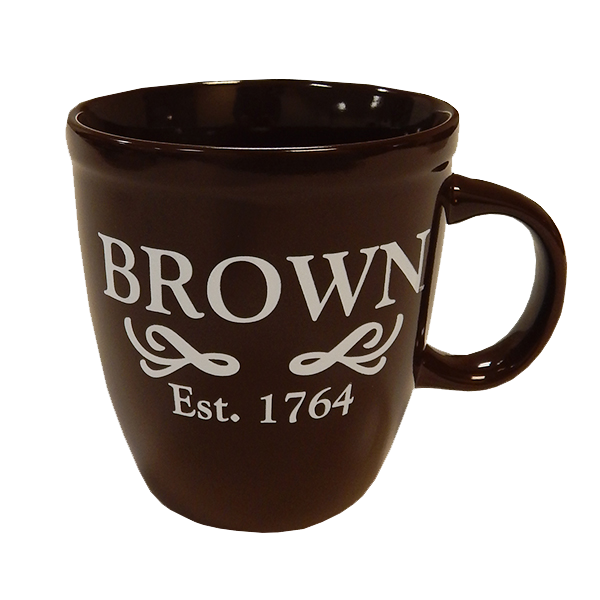 Tall cafe style mug with 'Brown EST 1764" and Crest printed in gold on both sides. 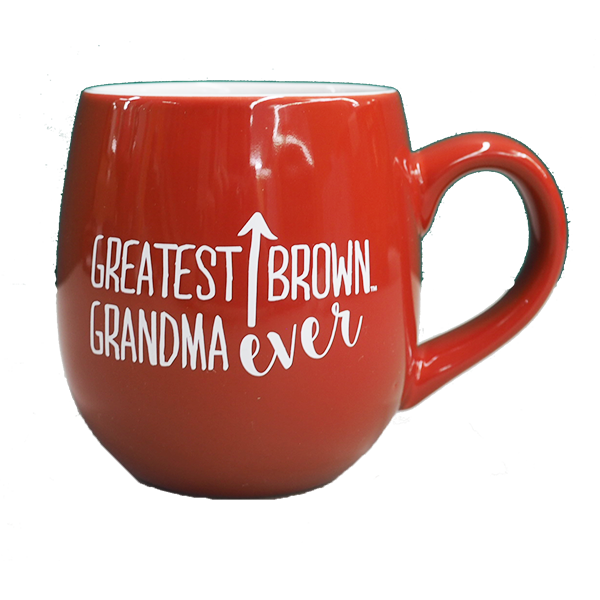 Available in red or grey. 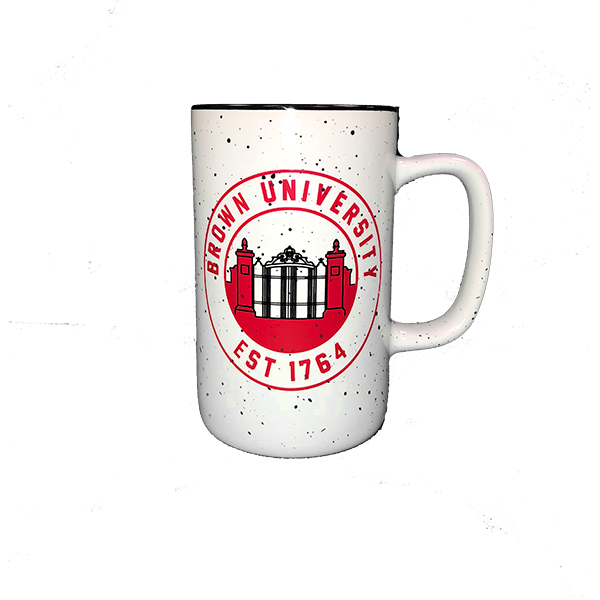 Please select option for Burr Tall Cafe Mug - Red or Grey. 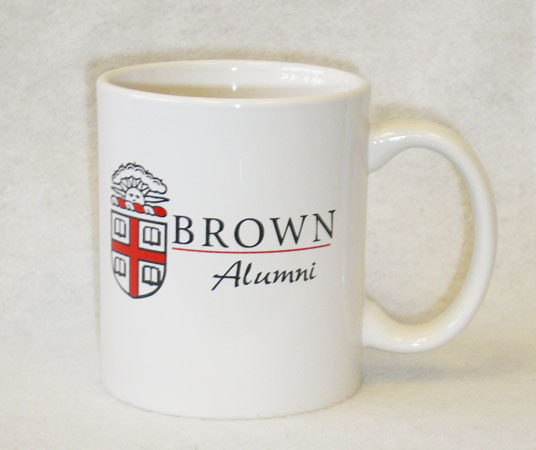 White ceramic mug with Seal and 'BROWN Alumni' imprinted on mug. Nordic 20 oz. 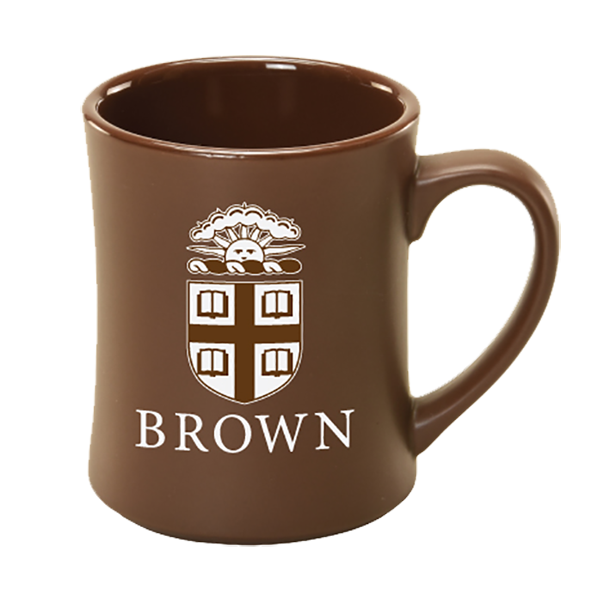 brown ceramic mug with white imprinted design of 'BROWN' above flourishes above 'Est. 1764' on one side. 11 oz. 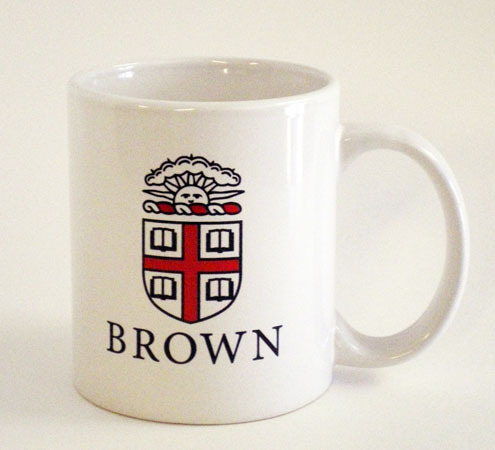 ceramic mug with red and black Seal. 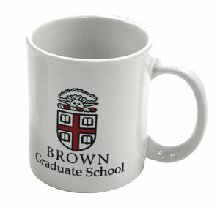 'BROWN Graduate School' imprinted under seal in black. 16-20oz. 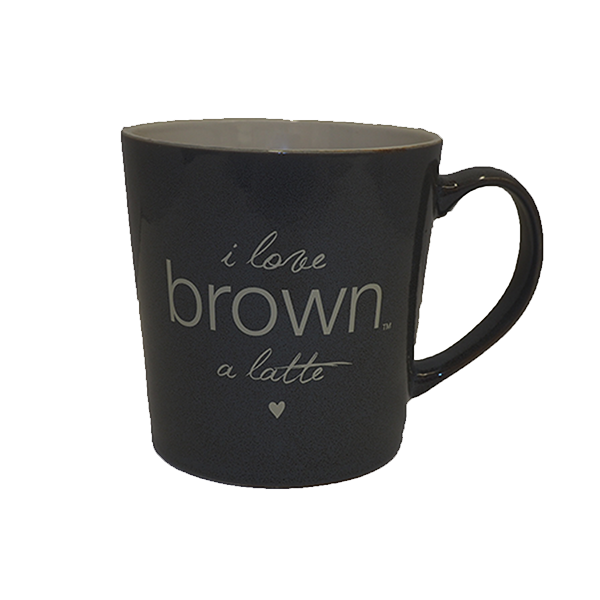 Offero black matte ceramic mug with white interior. Seal and 'BROWN' imprinted in gold on one side. 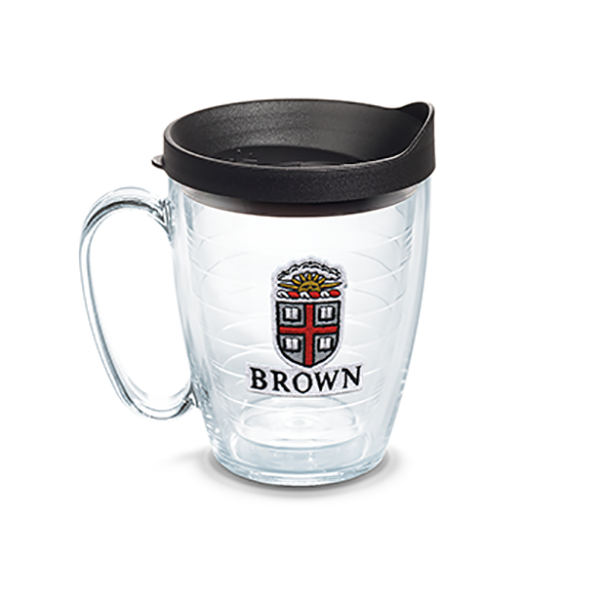 Due to the unique shape of their cups and glasses (the belly, taper and extended back) they can’t be mass produced by machines. 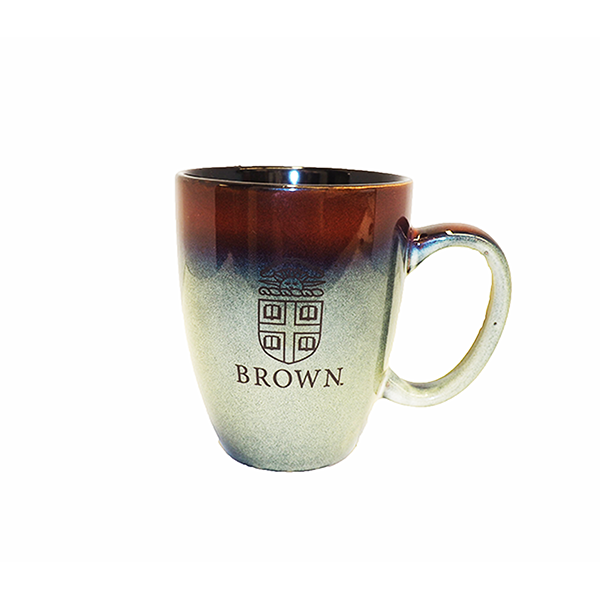 Each cup and glass is hand poured into its mold, fired, then hand finished. 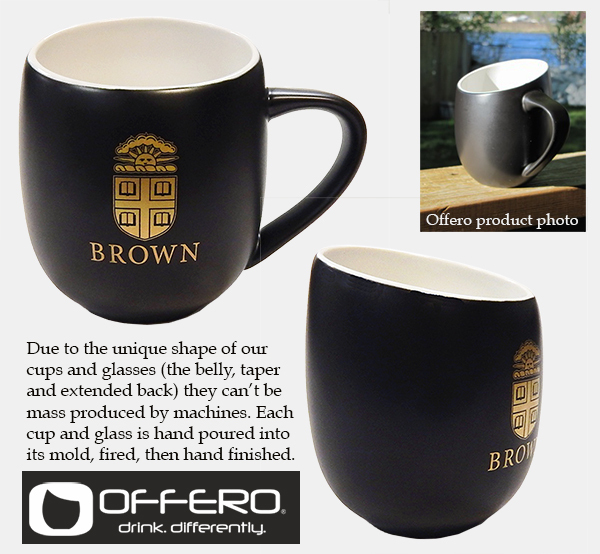 Your cups and glasses will show some irregularities, light mold lines; some uneven finishes, bubbles and even minute size differences...But...The integrity of the design and therefore The Offero cups' beauty and function will always be maintained. 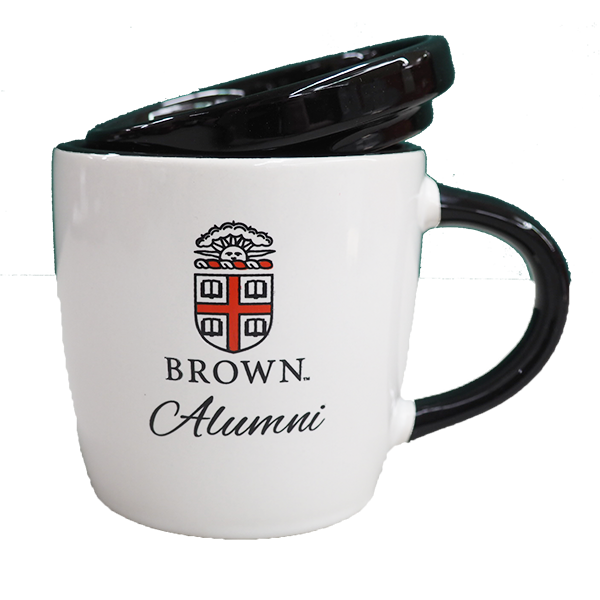 Place your lips on the lowest part of the cup/glass, sip your drink, allowing the extended back to slowly embrace your nose and face with your drink's aromas. 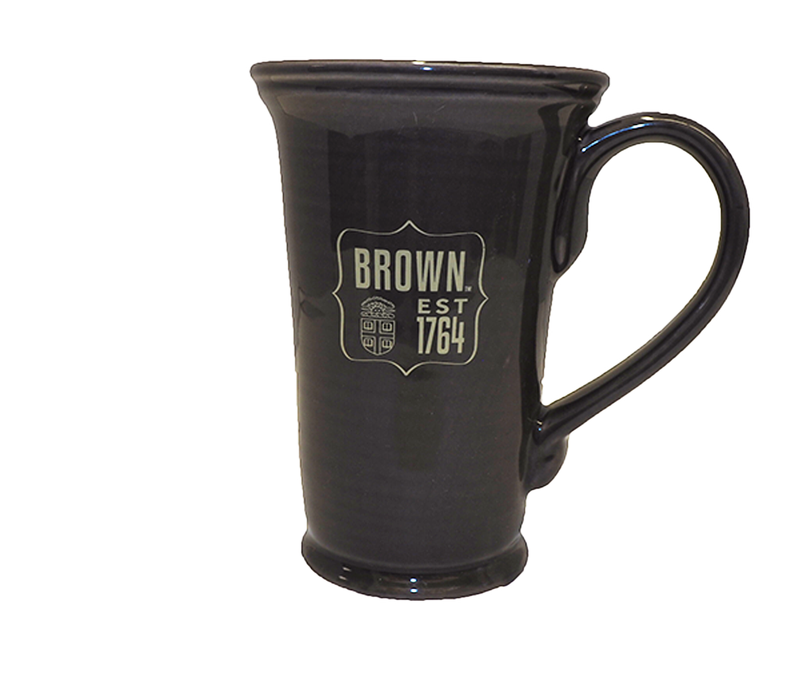 Please Note: Due to the design, the handle is situated for right-handed drinkers. 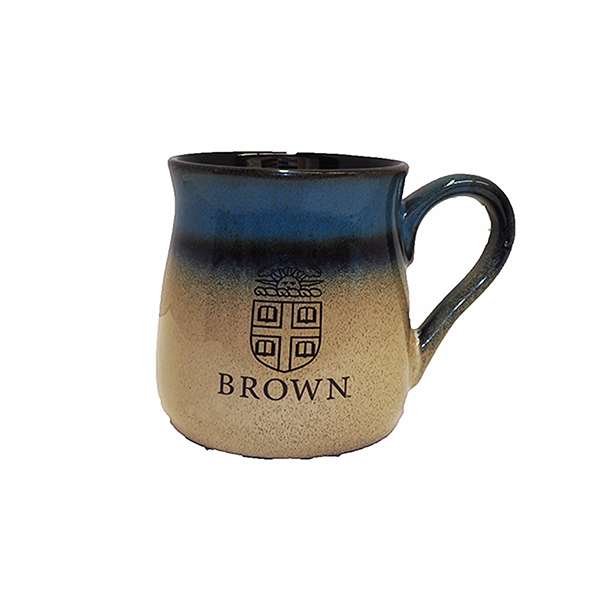 Glazed ceramic mug imprinted with Seal above 'BROWN' on both sides. 14oz. 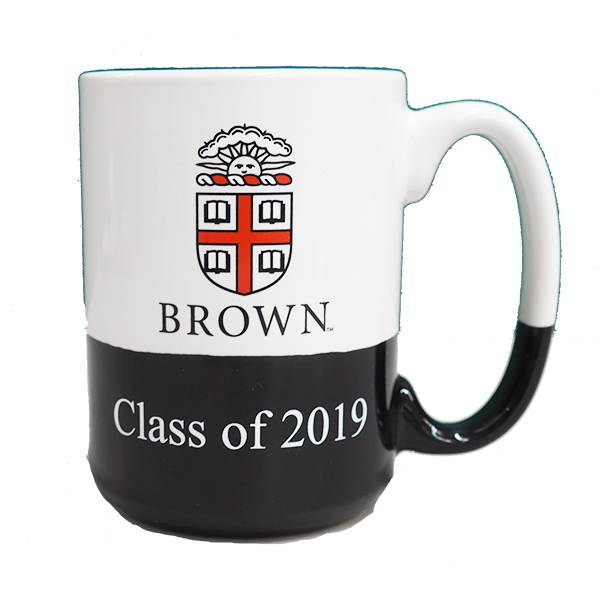 Please select option for Ceramic Mug - Two-Tone Seal - $9.99. 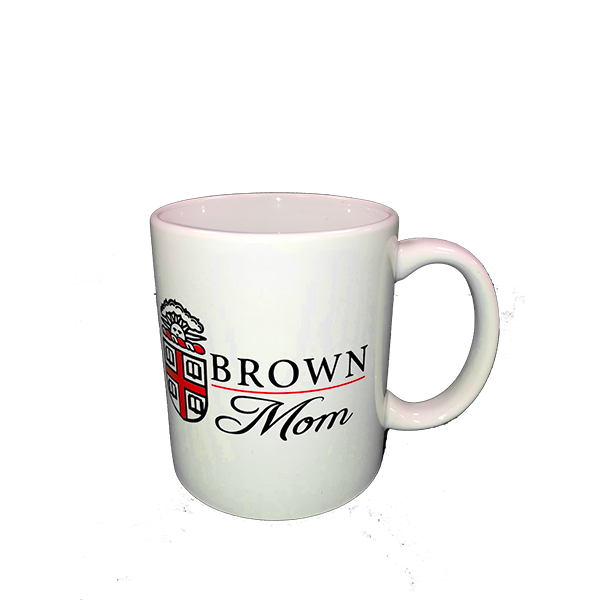 White ceramic mug with color Seal and 'BROWN' imprinted in black on front. 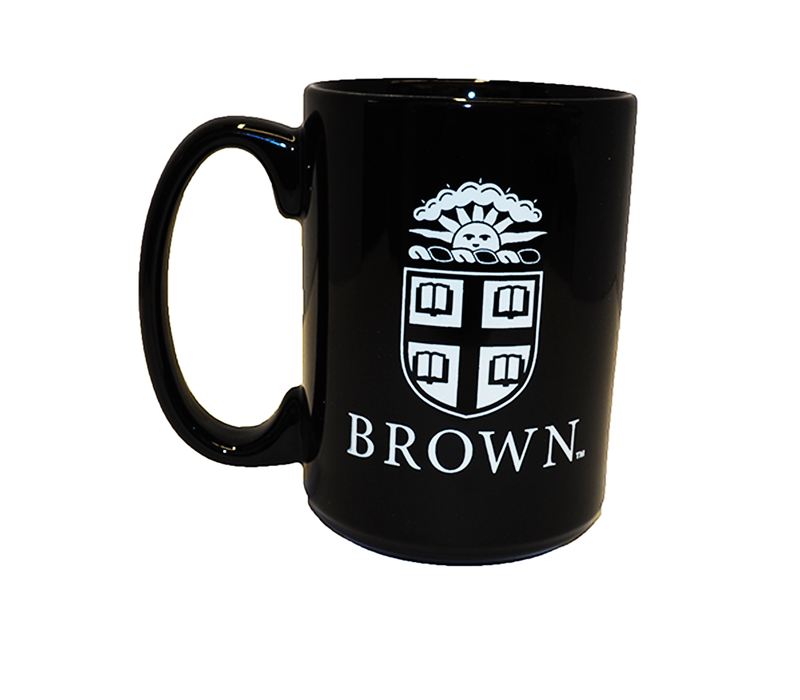 Large black mug with Crest printed in white on one side, 'Brown University' printed in white on other side with raised Crest medallion. 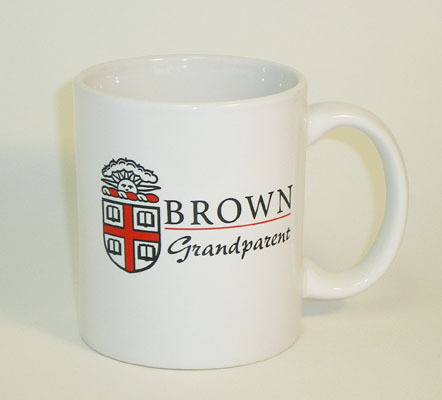 White ceramic mug with Seal and 'BROWN Grandparent' imprinted on front. 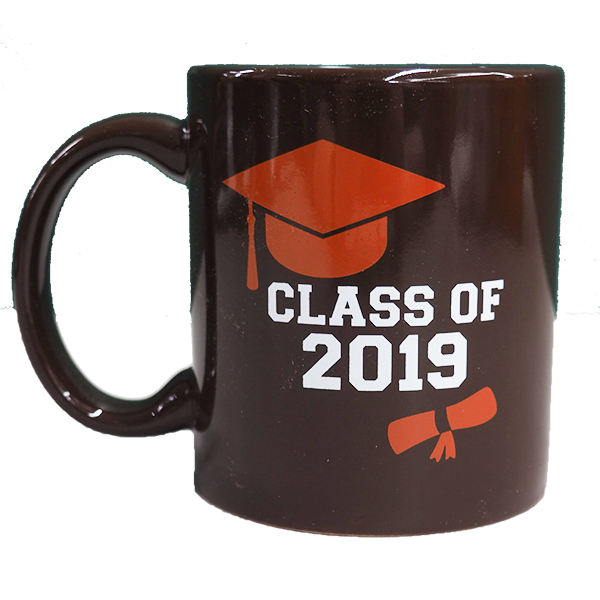 Matte brown colored mug with Crest etched into side - 16oz. 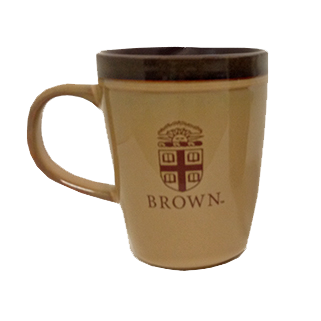 Clear mug with Brown Crest. 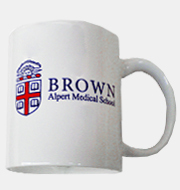 Features travel sip cover. 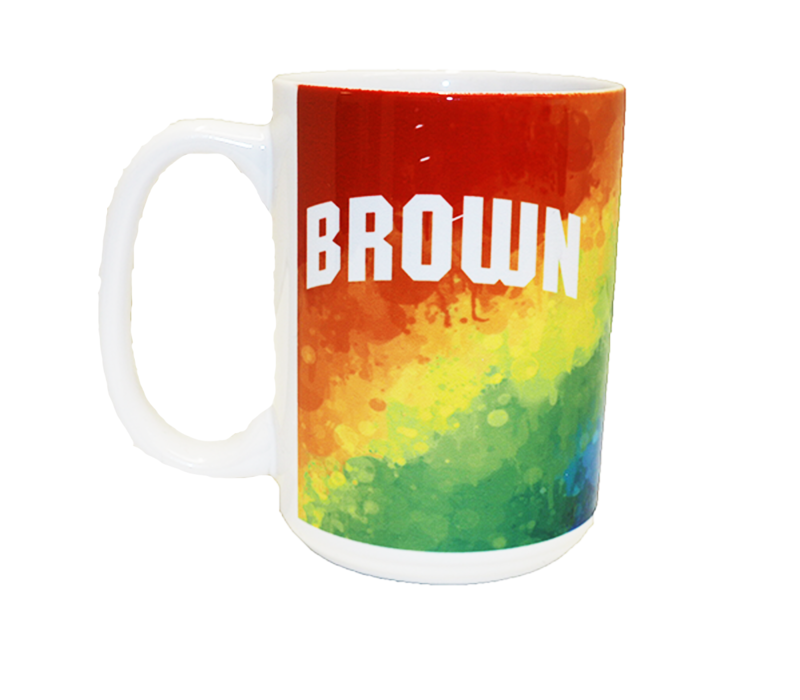 Tie Dye patterned mug with 'BROWN' printed in white on both sides. 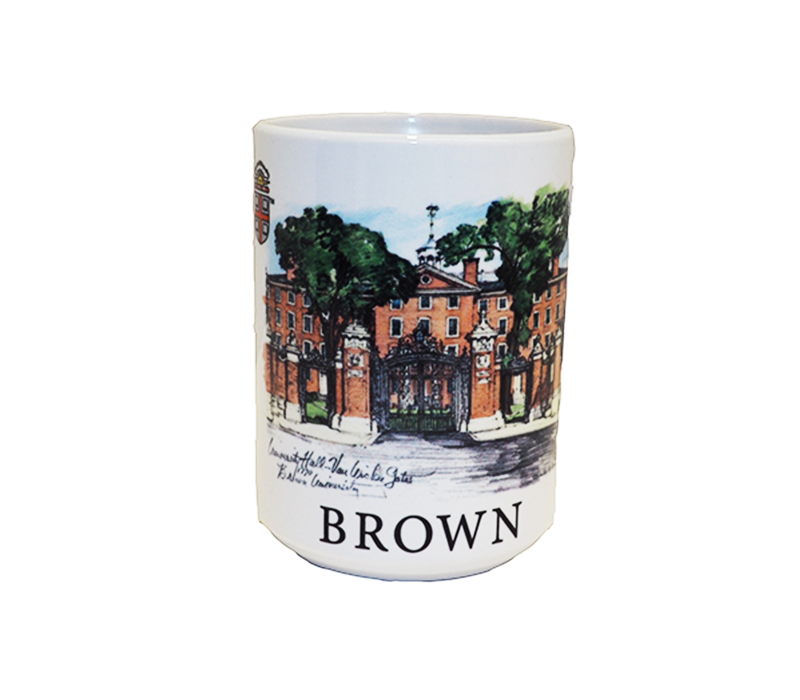 15oz white mug featuring painted Van Wickle Gates with Crest.